This Sunday, we have a meaningful and poignant confluence of Christian commemorations: it is, of course, Palm Sunday, but it also is the feast day of Dietrich Bonhoeffer. This means that we will be beginning Holy Week–starting our long walk to the cross–hand in hand with Bonhoeffer; with his words in our ears, and the strength of his faith in our hearts. This juxtaposition feels both precious and fortuitous. It is precious because Bonhoeffer himself continues to be so precious to the church. I know Lutherans often are accused of almost blind lionizing of Bonhoeffer–elevating him to superhuman levels. Maybe that’s true–certainly, we are justly proud to claim him as one of us. But, kind of like how Luther loved and treasured Mary, what is actually so special about Bonhoeffer is not all the ways that he is different from you and me, but rather all the ways that he is like us. He doubted, he struggled, and he questioned; he changed his mind on things, and grew in new understandings; and, finally, in spite of his circumstances, in spite of the war and in spite of prison, he trusted in God. His faith was severely tested, and it held. Who can question the preciousness of such a witness? So, as we begin Holy Week, there are three insights from Bonhoeffer that I’d like to share, insights to hold up and reflect on in the week to come; three thoughts that directly relate to the gifts Holy Week invites us to receive, gifts that deepen our connection to Christ that is so vividly before us at this time. This is the “fortuitous” part–Bonhoeffer helps us see this week with new eyes and a new heart. The first insight is that God calls us into the experience of others’ pain; to share the load, and to work for pain’s alleviation. In his Letters from Prison, he writes: “For the greater part of our lives pain was a stranger to us. 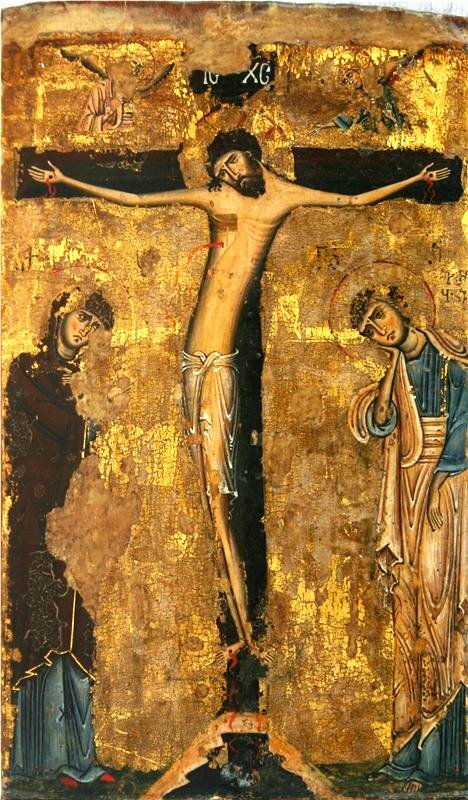 To be as free as possible from pain was unconsciously one of our guiding principles.” The cross breaks through this wariness, this aversion, opening us up to bear the pain of others and look upon it with full gaze, and not turn away. And, finally, most importantly, death is not the end; death is never the end. Holy Week ends in an empty tomb and a resurrection–not a dead, broken body. I think this is what Bonhoeffer meant when he said, “Death is the supreme festival on the road to freedom.” In death, everything is stripped away, and we have only Christ’s arms around us–it is the supreme “letting go” as well. And in that instant, we are transformed–freed and made perfect. This week, with Bonhoeffer, as we walk toward the cross, we walk toward our own death, too. And, in this way, we walk toward the beyond; and we, like Bonhoeffer, rejoice to find that God was near at hand all along, and there is nothing to fear.